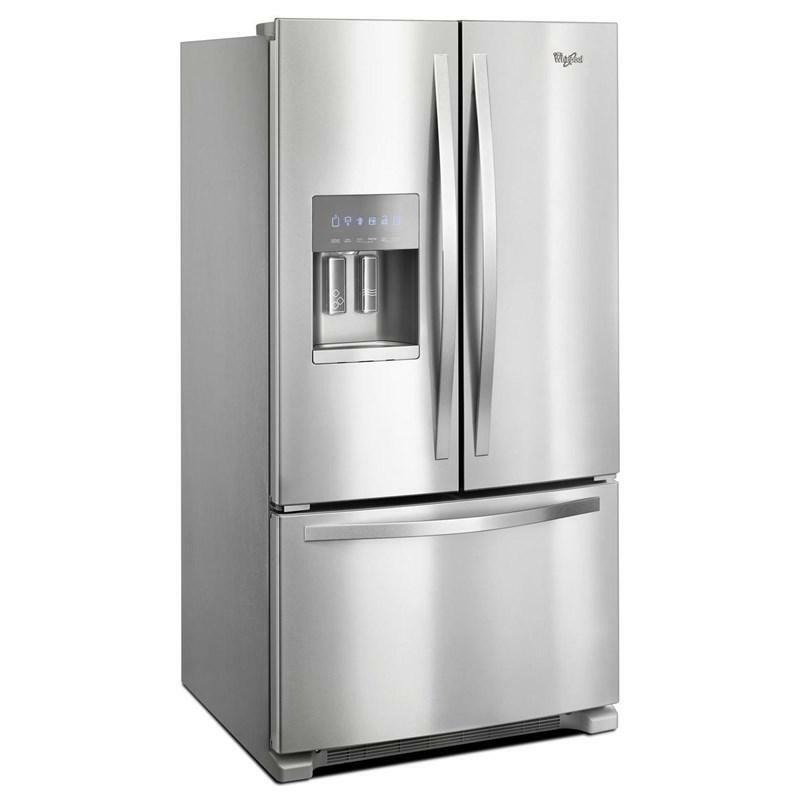 This Whirlpool® 36-inch wide french-door refrigerator is equipped with an external water and ice dispensing system. 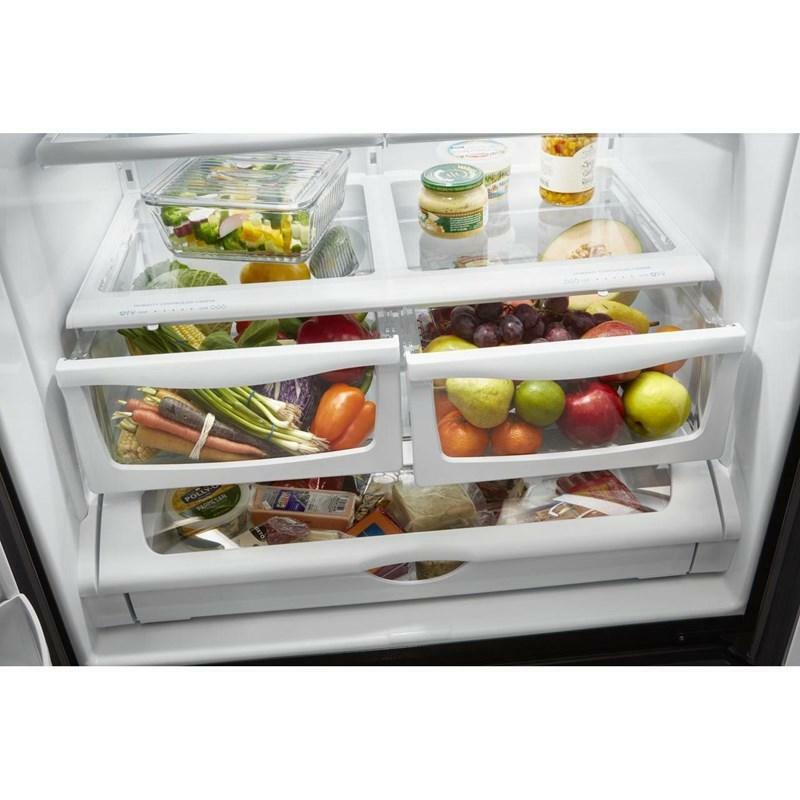 It also features humidity-controlled double crisper, adjustable gallon door bins and 25 cu.ft. capacity. 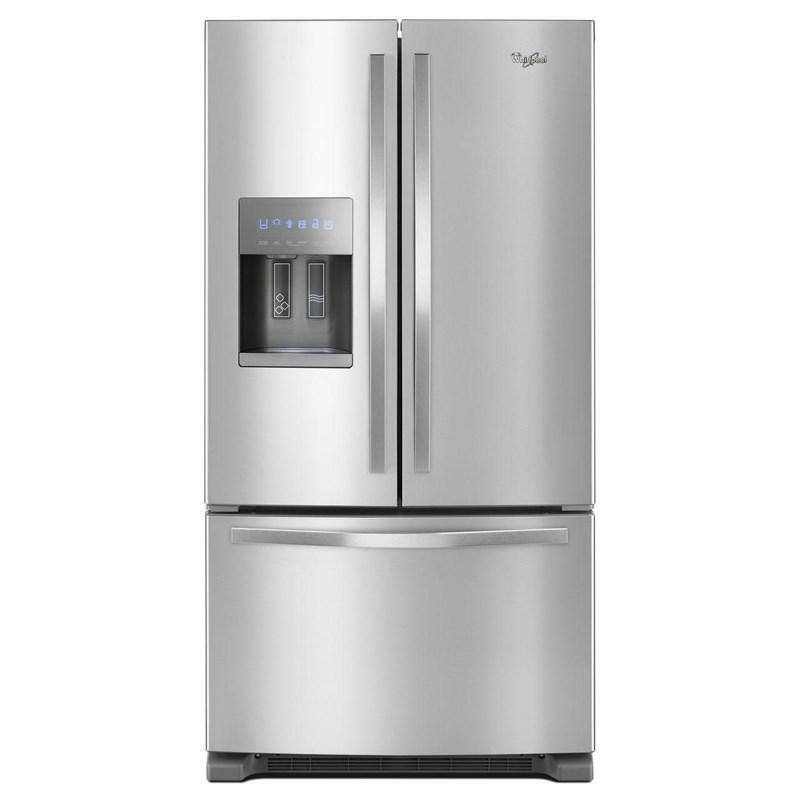 Total 24.7 cu. ft. / 0.70 cu. 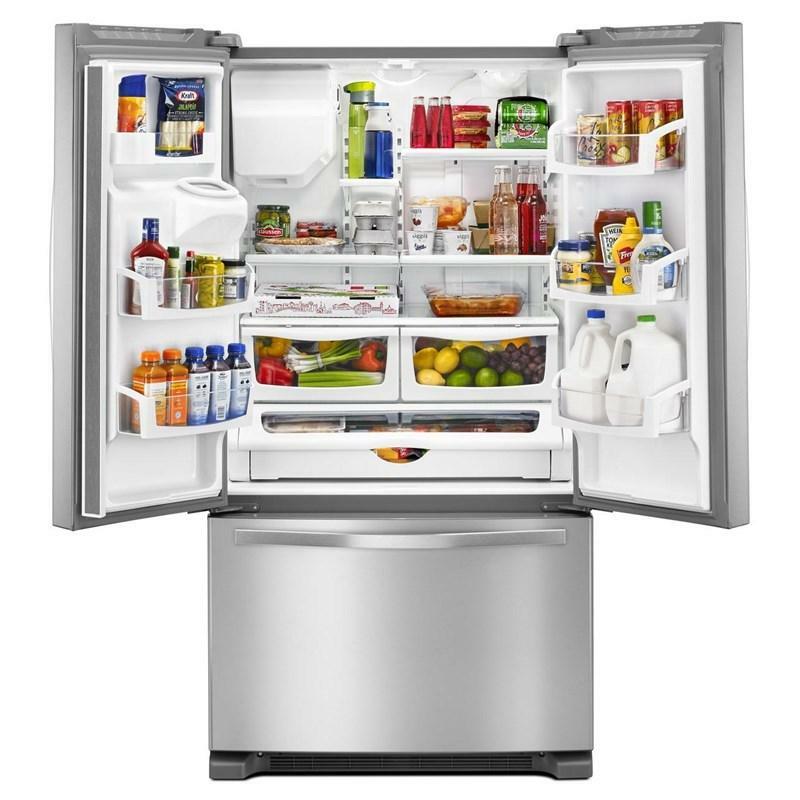 m.
Refrigerator 18.0 cu. ft. / 0.51 cu. 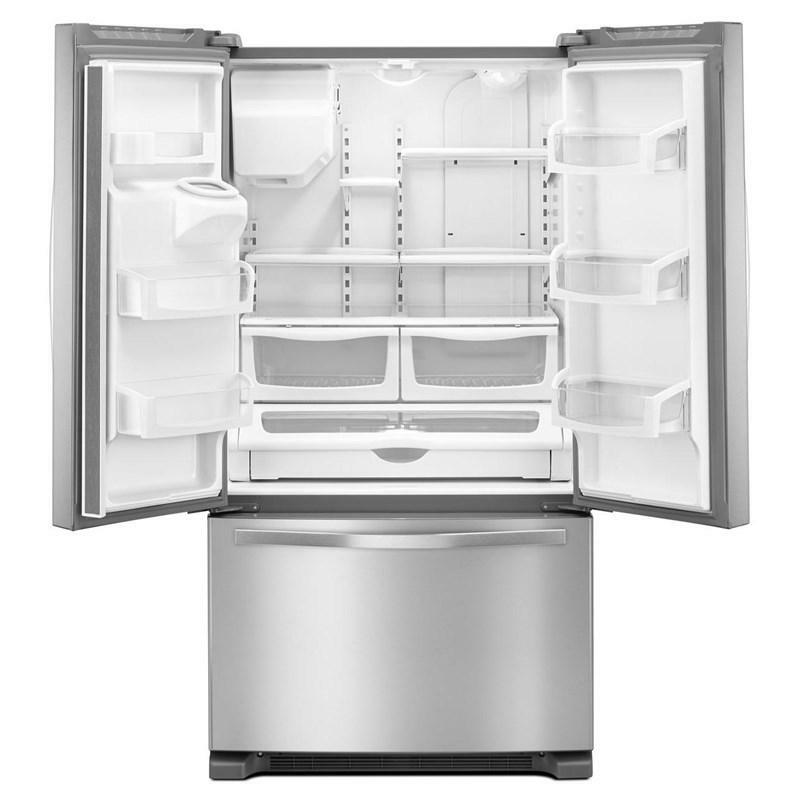 m.
Freezer 6.7 cu. ft. / 0.19 cu. m.